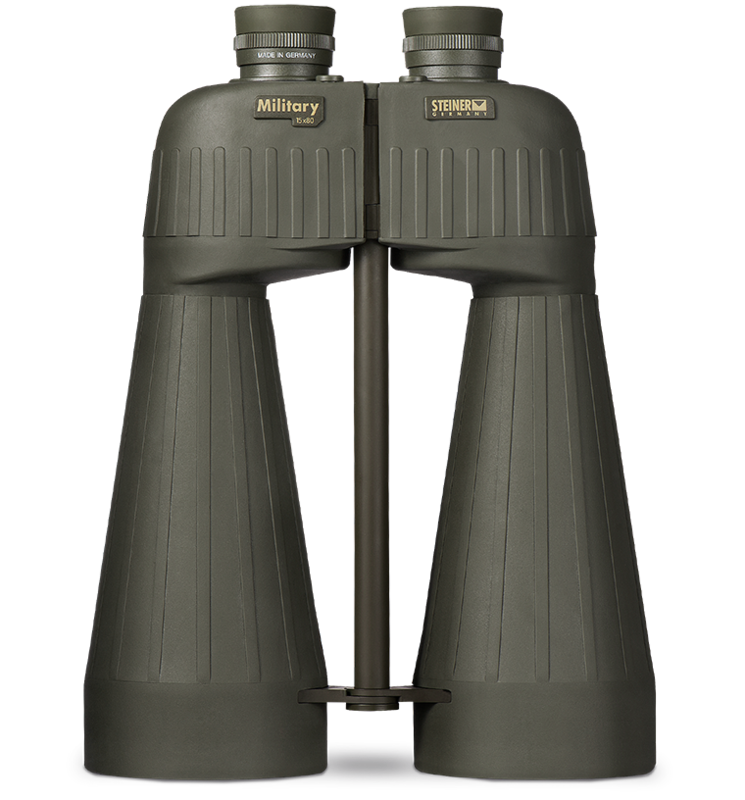 For visual efficiency, extended-viewing comfort and object detail, traditional spotting scopes can’t compare to these high power military binoculars. Originally developed for perimeter and border patrol applications, they now serve military and law enforcement agencies around the world. The massive 80mm objective lenses and unmatched Steiner quality deliver far superior low-light performance and image acuity for artillery teams, SEAL missions, surveillance missions, air traffic controllers, forest fighters and naval patrols. Steiner produces three models of M1580 binoculars. The M1580r has a reticle, the M1580rc has reticle and compass. Offers exceptionally bright images in all light conditions, especially useful for nighttime ops. Crisp resolution and a wide field of view help you locate and identify targets faster and more accurately. See the full M1580r specifications below, or click here. are state-of-art for brighter picture, higher contrast and sharply contoured images with natural color definition. lets you focus each eyepiece to your vision once, then keeps images razor sharp from 20 meters to infinity. No more chasing focus on moving objects. seals 14-psi pressurized dry nitrogen into the optic, for fogproof clarity in any condition - from artic cold to desert heat. is durable polycarbonate with NBR Long Life rubber armoring, creating a lightweight, rugged chassis that withstands 11 Gs of impact. Impervious to harsh conditions for generations of trusted use. to 5 meters, pressurized nitrogen filled tubes resist water intrusion even when submerged. is included for perfect image stability for long term observation. Steiner est une société de Beretta Holding S.p.A. © 2019. Site conçu par Gray Loon. Tous droits réservés.